World`s largest sports retailer, Decathlon, present in over 40 countries and with more than 1,350 stores worldwide is coming to Serbia. Partnering with BIG CEE group, a dream of every sport lover and enthusiast is set to open its first store in the second quarter of 2019. 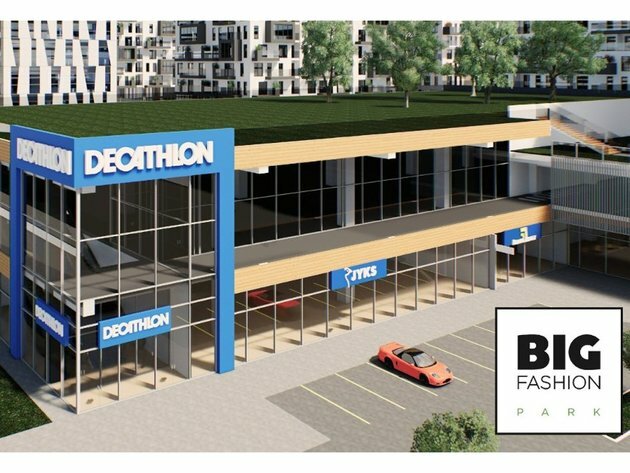 BIG CEE Serbia, CEO Robert Yahav explained that BIG FASHION Belgrade will expand to include additional commercial, residential, and office zones under the name of BIG FASHION PARK, and the new Decathlon store will be one of main residents within the project of 200,000 m2. 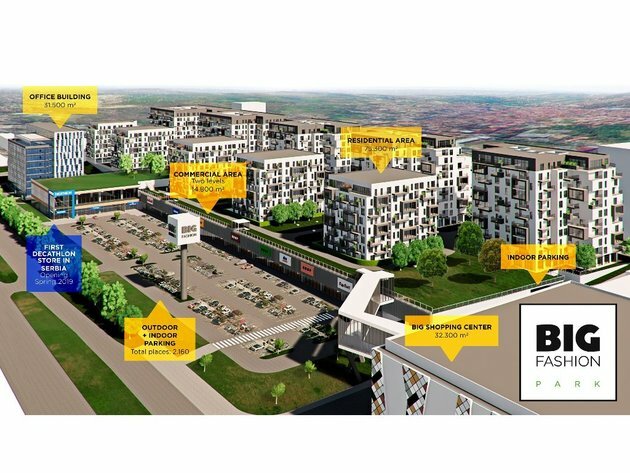 Commercial area of new 50,000m2, 800 apartments, more then 2000 parking places, will be connected by footbridge with existing BIG SHOPPING CENTER. Decathlon currently employs more than 80,000 people worldwide. What makes Decathlon truly unique is its innovation in conception and production of proprietary products with unmatched price and quality, all grouped in one big family called Passion Brands. With over 50 Passion brands and over 70 sports in a single store, Decathlon caters to the sports needs of just about every sport enthusiast be it a beginner or professional. Making sports accessible to the many is the mission Decathlon thrives to achieve through quality and innovation at ever affordable price. Passion brands are the result of over thirty years of tireless work and innovation in Decathlon`s own research and development centers. Passion brands are only available in Decathlon stores, and they offer a wide range of innovative, high quality products aimed towards everyone; recreational athletes, professionals and entire families. Decathlon Belgrade, the first step in the company`s expansion to the Serbian market, will span over 3,700m2 and will bring a completely new sport experience to Belgrade; with over 70 sports under a single roof, from basketball to hockey, from water-polo to horse-riding, whichever your favorite sport may be, you will surely find it in Decathlon.